If you’ve followed my blog for a while you know that Scrabble is one of my favorite games and I love crafting with the tiles, board, and even boxes of the old, incomplete games that I’ve bought at garage sales or thrift stores. 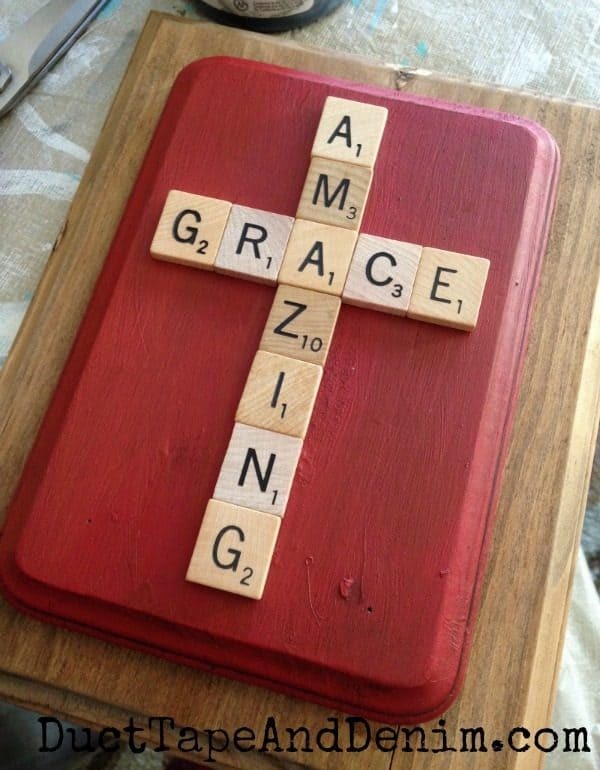 My latest project was a super simple Amazing Grace Scrabble tile plaque. 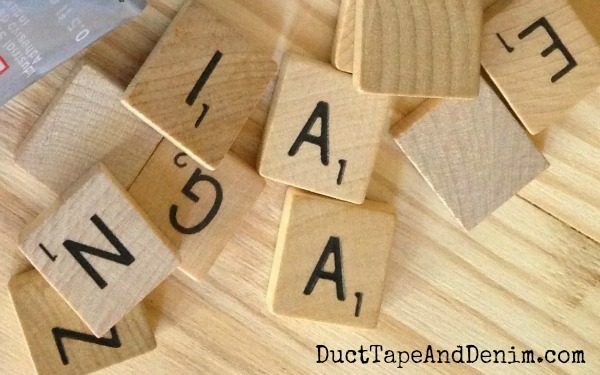 old Scrabble tiles – Find out where to buy just the tiles in lots of different colors HERE. First I laid out the tiles like I wanted them to make sure I had enough space. I painted the smaller wood plaque with the red craft paint. When it was dry I brushed a thin coat of stain over both plaques and wiped them down with an old t-shirt rag. Then I glued on the Scrabble tiles. It doesn’t take much of this glue! I lightly hammered in the sawtooth picture holder on the back. It comes with tiny nails! Thanks for reading my post! Leave a comment and let me know if you’ve ever made anything with Scrabble tiles. Very Nice and sweet project. Perfect for Easter. 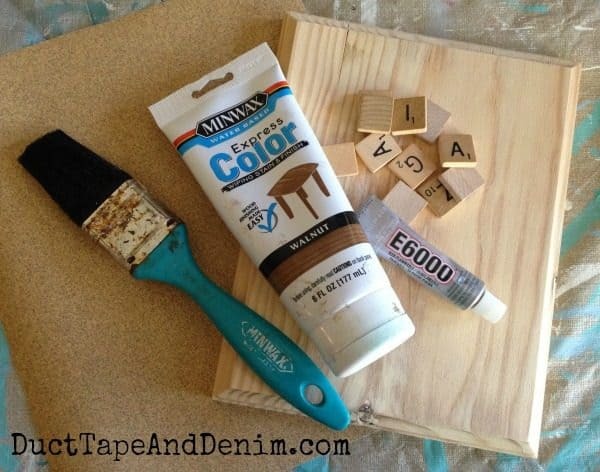 I haven’t worked with scrabble tile before but I see lots of cute project like your amazing grace plaque. I need to get me some! Thanks for sharing! I love the cross! What an awesome idea. AND Amazing Grace is one of my favorite hymns! Ya gotta love Scrabble letters!